Seattleblikeblog.com (as well as Matt on the CC Facebook page) is reporting that the City Council unanimously approved the proposed Bike Master Plan for the city. 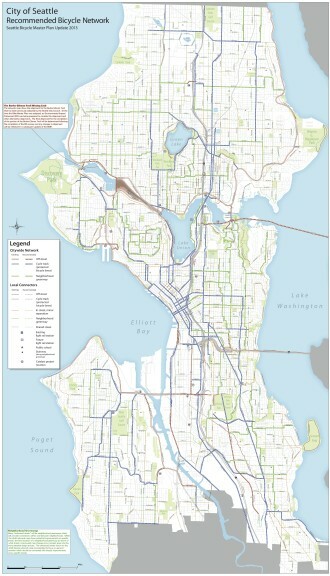 Included in the plan are protected bike lanes on Rainier and MLK and a few neighborhood Greenways. There’s a ton of information on the official Master Plan site as well as on this SE_Sector map (be sure to click for viewable/zoomable pdf).